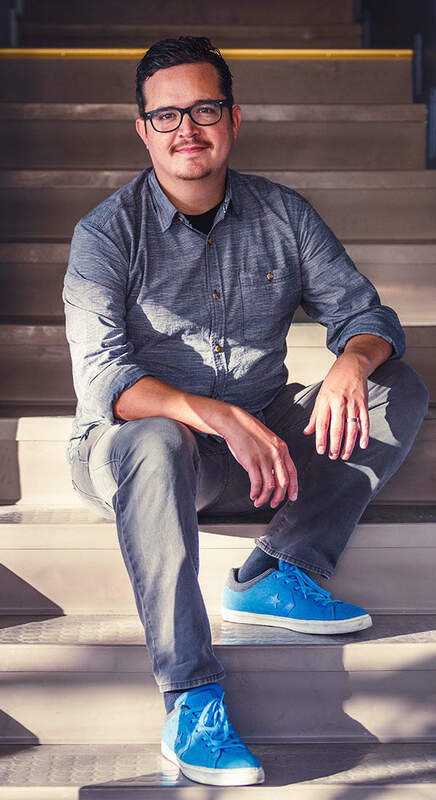 Charlie is our all around design leader and evangelist who is in charge of creating elegant visual design solutions and interfaces that are easy to use. He is an established illustrator and graphic designer with over 15 years of experience in print and on the web creating digital user experiences. He loves working with brands to figure out their message to help them convey compelling stories. Charlie has been known to get into the code and build out several of our WordPress websites. Taking things apart comes naturally to him and that is what has always intrigued him about coding and building websites. He loves styling web pages and looking for new ways to add in moments of delight with new technologies. Outside of work you will find Charlie in his studio painting signs on any random piece of scrap wood he can find. He enjoys getting back to learning hands-on artistic techniques and getting away from the computer. He loves to ride his bike and wear down the tires around Lady Bird Lake daily. His son keeps him busy with his love for technology and they are always looking to help his wife score another piece of milk glass at one of their regular thrift store destinations. "I didn't go berserk, I simply solved a problem."